Hi! Thanks for stopping by my blog The Weekend Fashionista. I started my blog as a hobby. I work full time in Project Management but fashion is something I’ve always loved. I wanted to showcase my style and as my weekday style is mainly corporate wear, weekends are when I get to change it up and experiment. My friends and coworkers often ask me where I get my clothes and they’re usually surprised at the great bargains I find. 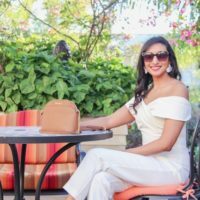 I’m always happy to share my fashion finds and I thought what better way to do that than through a blog! I’m a firm believer in the concept of affordable style – you don’t need to spend a lot of money to look well put together and polished 🙂 I shop a lot of Canadian retailers and some international brands as well.